In what may be the final chapter in a saga that has spanned more than 16 years and courts from New York to Minnesota, a Second Circuit appellate panel upheld a start-up’s $9 million legal malpractice verdict against an IP law firm, for failing to obtain a patent for the start-up’s ad-targeting technology. Peter Faulisi and Courtland Shakespeare, co-founders and principals of Protostorm, LLC, in New York City. An online game that required players to interact with simulated pages of advertisers’ websites that were placed in the game, in order to advance in game play. Players had to complete tasks, i.e., use tools to uncover hidden messages and “clean up” the pages, in return for which the advertiser would send them coupons or gifts. The game enabled dynamic tracking of player activity, real-time delivery of targeted ads based on a player’s interaction with an advertiser’s simulated web pages, and tracking and reporting of those ads’ effectiveness. By having players interact with sponsor content during game play, the game sought to overcome banner and static ads’ low click-through rates, and the fact that when players did click on ads, they left the host site. Duval & Stachenfeld (D&S) LLP, and John Ginley, corporate counsel to Protostorm. Kathy Worthington, a non-patent attorney said to be knowledgeable about IP matters. Antonelli, Terry, Stout & Krauss, LLP (ATS&K), an Arlington, VA IP law firm. Dale Hogue, Of Counsel to ATS&K, and later, a solo practitioner. February-March: Protostorm’s principals told D&S that they wanted to obtain a patent for their invention. John Ginley advised them to retain patent counsel, and referred them to Worthington, who they retained. May: following an introduction by Worthington, the principals retained ATS&K and Dale Hogue. According to Peter Faulisi, “[n]o specific limits” on their roles were discussed. “We understood that…we would be relying primarily on Mr. Hogue and…ATS&K to prepare and file any patent applications and to oversee the process to completion”. June 27th: Fred Bailey, associate at ATS&K, submitted the first provisional patent ap-plication to the USPTO. This enabled the principals to secure their priority as inventors, and gave them until 6/27/01 to submit a final application. April: attorney Worthington filed a second provisional patent application that covered new features of the invention. May 8: she advised the principals and D&S that the final application was due on 6/27/01, and they would lose their 6/27/00 priority date if they missed it. May 17: Hogue, who was no longer ‘of counsel’ to ATS&K, and had opened a solo prac-tice, signed a retainer with Protostorm stating that he would “perform the work necessary to prepare and file the application”, but “the application may be physically filed by” ATS&K. Peter Faulisi testified that the retainer “simply reaffirmed (Protostorm’s) prior working relationship with Hogue and ATS&K”, with no change in ATS&K’s role. June 20: Hogue emailed ATS&K the documents necessary to prepare the final patent application, and stated that Worthington would instruct ATS&K “separately on foreign filing”. He testified that he expected ATS&K to “prepare and file the application and prosecute it”, and believed that he had no further responsibilities. 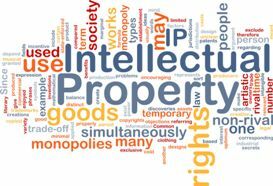 June 21-22, 25: Worthington, upon instruction from D&S, told ATS&K to file an inter-national patent application under the Patent Cooperation Treaty (PCT), instead of a do-mestic application, and to designate every PCT signatory country for patent protection. June 25: Attorney Bailey of ATS&K filed the final PCT patent application. The box next to every signatory country was checked, i.e., designated for patent protection, except for Mongolia, Zimbabwe, and the United States. Bailey testified that he knew the US was meant to be included as one of the designated PCT jurisdictions, but didn’t recall whether he had checked if that had been done. July 2: Worthington emailed Protostorm’s principals that a filing for patent protection in Europe was due on 2/27/02, so they should decide which countries they want protection in. July 23: the US Receiving Office, to which the patent application had been sent, notified ATS&K of two defects in it. One involved page numbers, which Bailey fixed. The other was that Protostorm hadn’t submitted a Power of Attorney (POA) form, appointing Fred Bailey or partner Carl Brundidge of ATS&K as its representative. Bailey obtained a 30-day extension for it to do so. August 21-22: ATS&K sent the POA to Kathy Worthington, and she advised Protostorm’s principals and D&S of it, but said she wouldn’t do any more work on the matter until they paid her bill. August 27: one of Protostorm’s principals signed the POA, and returned it to ATS&K, although the firm claimed that it never received it. September 25: attorney Brundidge of ATS&K emailed Worthington “we can not perform any further work for Protostorm” until it pays its bill. October 1: Brundidge wrote to Protostorm’s principals and D&S that the POA was “now due”, and if it wasn’t provided, the “application will become ABANDONED”. Further, be-cause ATS&K hadn’t received the POA and hadn’t been paid, “no further action will be taken” on the matter. Peter Faulisi testified that he didn’t see the letter until June, 2007. December 11-12: Protostorm’s principals called Brundidge and Hogue, and sent a second POA to ATS&K. They testified that they were told their application was fine otherwise, and the attorneys would handle any further administrative details that arose. ATS&K later claimed that it never received the POA. Late December: the principals ceased operations and closed Protostorm’s office, pend-ing further developments with their patent application, which their attorneys had said would take several years to process. However, they didn’t disband the company, and continued to seek capital. Early in the year, Faulisi learned that Google was beginning to test ads targeted to Gmail users based on the content of their messages, and thought that infringed on Protostorm’s invention. He tried to contact the attorneys several times during the year, but couldn’t find Hogue, and never got a reply from ATS&K. June: Faulisi was told by Schiavelli, ATS&K’s managing partner, that the patent appli-cation had been deemed “withdrawn”, because no POA or “national stage” submissions had been filed. He then hired attorney Jonathan Moskin to investigate. Moskin exchanged emails and letters with Schiavelli, who eventually stated that ATS&K had abandoned Protostorm’s application in September, 2001. January 25: Schiavelli wrote to Moskin, revealing for the first time that the ATS&K had failed to designate the United States in the application. On March 4th, 2008, Protostorm and Faulisi filed a complaint (PACER reg. req’d. ; document #1) in US District Court, Eastern District of NY, alleging legal malpractice, breach of contract, and breach of fiduciary duty against ATS&K, its attorneys Bailey, Brundidge, and Schiavelli, and Hogue, the solo. ATS&K filed a third-party complaint for indemnification and contribution against attorney Worthington, and D&S and its attorney, John Ginley. Worthington and Hogue then each filed a cross-claim against D&S and Ginley, seeking indemnification and contribution. Protostorm’s claim against Hogue was stayed, due to an arbitration clause in their re-tainer agreement, and Hogue dismissed his cross-claim against D&S and Ginley. All parties except Hogue filed for summary judgment. US District Court Judge Garaufis issued his ruling in November, 2011. He dismissed plaintiffs’ breach of fiduciary duty claim, because it was “duplicative of the) claim for legal malpractice”, and their breach of contract claim, because they didn’t argue for it in their briefs or refer to it in their motion, and thus “abandoned” it. ATS&K asserted that the SOL had expired before the complaint was filed, which was more than six years after the final patent application was filed. The court denied the MSJ on SOL grounds, because there was a question of fact as to whether ATS&K was retained to both file and prosecute Protostorm’s patent application, and whether or not the attorney-client relationship was ever terminated. “A jury could find (it) reasonable”, the court ruled, that Protostorm “relied on ATS&K to shepherd the application to its conclusion”, i.e., continuously represent it, until June, 2007, when the firm told Faulisi that the patent application had been abandoned. The complaint was filed nine months later. “it would necessarily find that ATS&K failed to exercise ‘ordinary skill’…Plaintiffs’ motion for summary judgment on this limited point…insufficient by itself to establish Defendants’ liability—is therefore granted. After almost three more years of litigation, a jury trial was held in July and August, 2014.